The photo at the top of this blog shows arial views of Titan (moon of Saturn) as the Huygens lander descends from the Cassini spacecraft towards its landing spot. It is an edit from a larger photo, which is included below. From the European Space Agency. This is the second moon we have been to, along with 3 planets. The below composite image from NASA shows how they compare, plus Asteroid Itokawa which the Japanese Space Exploration Agency landed on in 2010. Does comparing our planet with some of our nearest neighbours make us better value what we've got here on Earth? 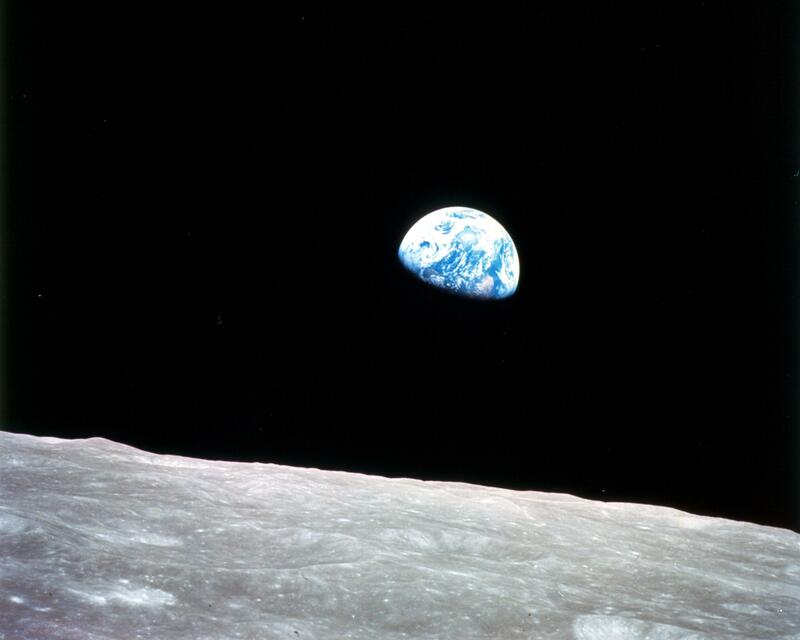 Celebrated images like Earthrise and Pale Blue Dot indicate that externalising ourselves from this planet allows us to appreciate what we have got, with Earthrise argued to be an inspiration for the 1970s environmental movement. Comparison of our nearby neighbours can perhaps provoke consideration of ‘what might have been’, or perhaps more aptly, what might not have been without the ‘Goldilocks’ set of circumstances allowing life on Earth. Stephen Nowlin has produced a wonderful juxtaposition of an Arizona national park with Point Lake, Mars in his Planets 3 & 4 video. The superb Otherworlds exhibition at the Natural History Museum included astonishing composite photographs of our nearest neighbours, produced by artist Michael Benson. Radar images of Mercury showing rocky promontories, rift valleys and liquid traces – all weirdly familiar given the planet’s temperature of 460°C and the drizzling sulphuric acid. There seems to be societal cognitive dissonance in the extreme care taken to prevent contamination of equipment destined for space exploration, whilst we throw trash out of our car window or prevail in a zombie-like acceptance of burning carbon. Earth art can be didactic and preachy; can art about the rest of the universe open productive pathways into people’s consciences?